Pivotal HD is a full Apache Hadoop distribution with Pivotal add-ons and a native integration with the Greenplum database. Hence bringing together both NoSQL and SQL access layers to multi-structured data stored within the Pivotal HDFS. This distribution is the world’s first true SQL processing for enterprise-ready Hadoop. Supported by the host of EMC technologies, Pivotal HD is virtualization and cloud ready with VMWare and Isilon. It comes in three flavors. Pivotal HD Single Node VM allows developers, data professionals, and data scientists to work with experiment with real-world data, and perform advanced analytics and rapidly reveal insights from big data sets with ease on their laptops. It is a preconfigured installation of Hadoop with HAWQ’s SQL query processing power and speed. Pivotal HD Community Edition of the Pivotal HD stack is entirely comprised of Apache Hadoop (HDFS, MapReduce, Hive, Mahout, Pig, NoSQL, HBase, Zookeeper, Sqoop, and Flume) with a 50 node limit. Pivotal HD Enterprise is a commercially-supported distribution of the Apache Hadoop stack that is tested at scale in Pivotal’s 1,000 nodes Pivotal Analytics Workbench. It comes with essential add-ons for corporate customers – support for the Spring framework and the number of projects in its ecosystem, such as processing framework Spring Batch and Spring for Apache Hadoop, which simplifies Hadoop application development for users of the enterprise Java framework. 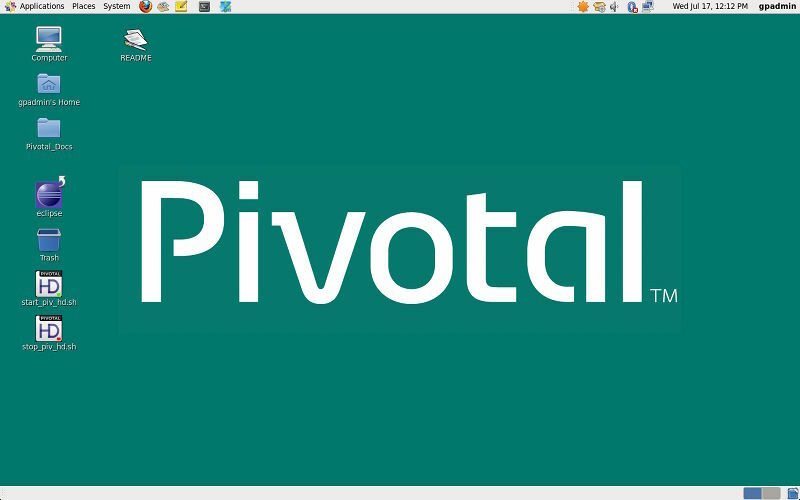 Download Pivotal HD and get started! This entry was posted in Hadoop, Hadoop Distribution and tagged Hadoop, Hadoop Distribution Pivotal. Bookmark the permalink.